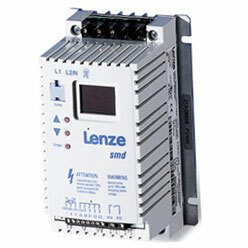 Frequency inverters are used to adapt the power coming from source into a piece of equipment like an electric motor. There are two types of current – direct current (DC) and alternating current (AC) and both work differently. Inverters were invented to allow Alternating Currents or Direct Currents to be used together, even though they are very different, to produce the energy needed to power items. Direct Current is the simplest one to explain. The current all runs in the same direction, making a ‘chain’ or ‘circuit’ of power. Direct Current is used in standard circuit products like torches where the batteries are inserted and complete the circuit allowing the product to work. Alternating Current works differently. This power supply changes direction about 50 to 60 times a second. This can also be written as 50 – 60 Hz a second. When the two types are brought together the electrons in both the currents are combined so the Alternating Current is continually ‘hit’ by the direct current and ultimately makes it stand still within the cables, forcing the energy through from source to equipment. Different motors need different currents to work but the electricity supplied is usually Alternating Current. This means, an inverter needs to break the current between the Alternating Current and the Direct Current and mix it up, otherwise the motor will just not work. The inverters job is to convert the power to what is needed. It works like a switch, alternating the supply on a regular basis to about 50 – 60 Hz a second, to produce the energy needed to power the motor. There are DC motors and AC motors, but both need both types of current to work completely. When a motor is first switched on, the power generated can start off at speed with no way of controlling it. Introducing the opposite current via an inverter, allows the user to vary and control the speed, making the equipment more useable. Electric motors need inverters to adjust the current being supplied so the user can control it, making the motor more effective in its running and usage. As you can tell, inverters are complicated pieces of equipment and as such, you need to find a supplier who actually understands them. Find a company, such as Bearing Boys, who can offer the best in the market, built from reliable companies such as the German firm Lenze. The inverters need to be able to convert what you need them to while also offering options of having different phases. Inverters can come in all shapes and sizes with single-phase input, 3-phase input and 3-phase output. Having variations in the range mean you can discuss options to suit your needs. Variations do not stop at outputs; you may need one that can withstand moisture in the air or work areas that are washed down on a regular basis. Keep an eye out for these products if that is what you need. No point spending the money before discovering it will blow the first time you clean the area. Ultimately, you need the products to be affordable, so value for money is top of the list. Purchase from a company such as Bearing Boys that has the knowledge and support to help you make the right choices for you and not for them.